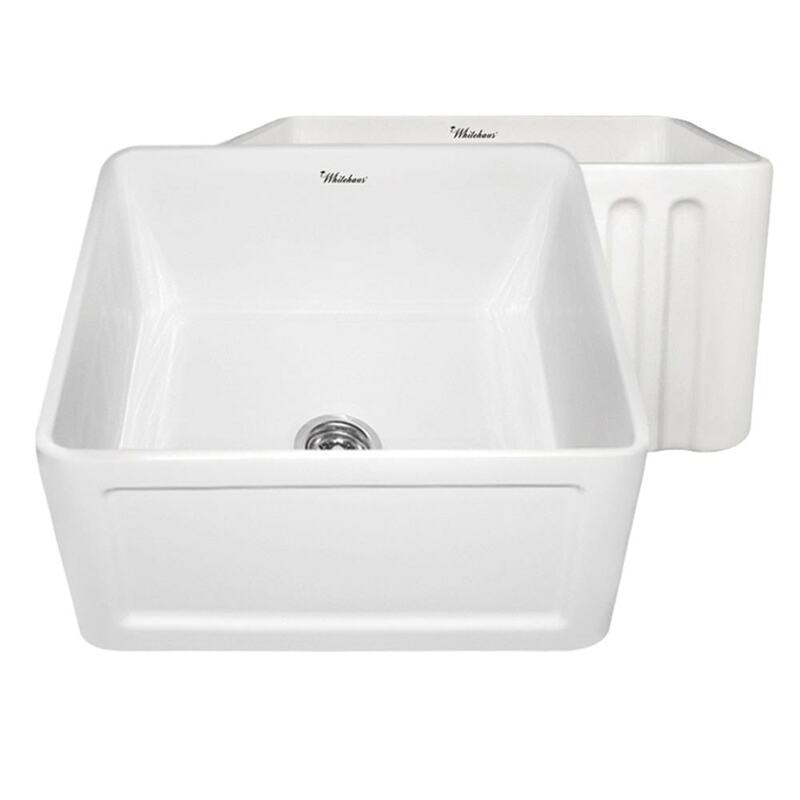 Whitehaus now offers its world famous fluted farm sink in this convenient 20" size. Reversible farm sinks gives you the choice to use the fluted front apron or the classic concave. US Patend No. D624635 S. Reverisble series fireclay sink with a concave front apron on one side and a fluted front apron on the opposite side. This fireclay sink is compatible for use with a garbage disposal. The drain size is standard 3 1/2" and the sink is durable enough to use with a disposer, no problem. This sink has an extra thick bottom so it requires a drain with a longer screw than normal. We recommend the Whitehaus RNW35L (brass) or RNW50L (plastic) strainers and the WH202 waste disposer trim. Matching grid model WHREV2018 is also recommended.